Last year Spud wore dog tags on our little trip to Morocco. I posted about it here. 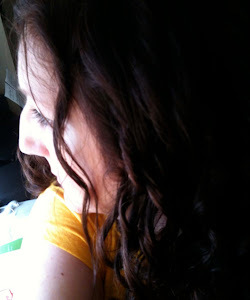 It was a peace-of-mind thing more than anything. It had our names and an emergency phone number as well as an email address that is set up to go automatically to our immediate family. On top of that, I rigged it so we could add our current hotel's address on the back, you know, in case we should get separated. So, we're doing it again this trip. With only one of the original tags this time (because we lost one on the last trip) plus one I found for our little Angry Birds fan. Spud needed a new chain anyway; over the span of our 1 month trip last year his cheapy chain got nasty, leaving an orangey-brown stain on the back of his neck. 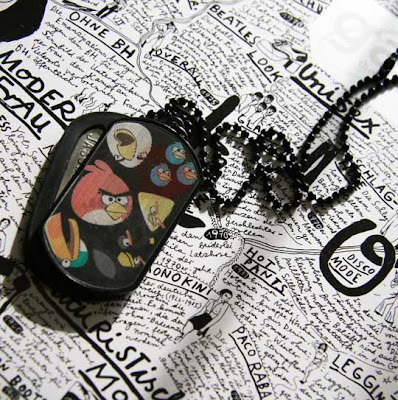 So this I Heart Angry Birds, lenticular dog tag is going to do just the trick. I can't show him this post though ... going to keep it a surprise until we get en route!